We had a big storm yesterday, but today was perfect. That's North Carolina for ya. Stick around. The weather will suit you sooner or later. 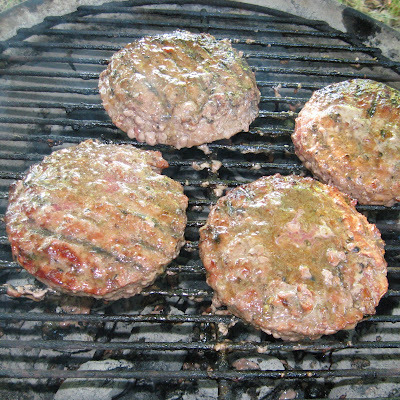 I usually hand pat my hamburgers, but I had some La Cense steak burgers. I'd been looking forward to trying those out. 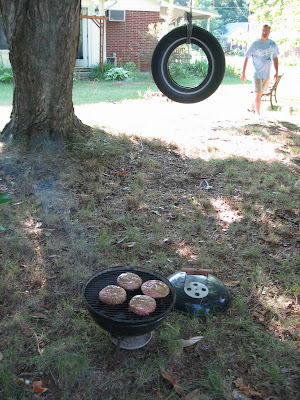 I fired up the grill and put the marinated burgers on. Wow! They were really big and looked great. Waiting was the hard part. We all gave the burgers thumbs up. 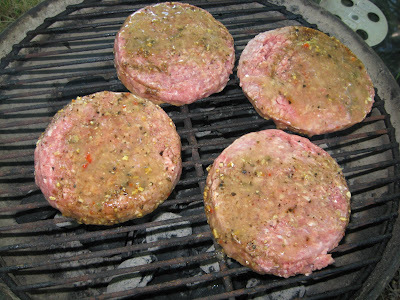 They were moist and had lots of flavor. That's the last of the La Cense grass fed beef. Time for another order I guess. It definately is great beef, and I like the idea that it's natural, low fat, and that the cows are treated right on the ranch. Thanks for stopping by! My boys are always hungry, so that's a good thing when writing about food.